Your wedding. A stunning venue. An unforgettable day. It’s your day and it has to be perfect. So when you’re choosing a venue for your wedding, it’s understandable that you want the very best. Hidden seductively in 120 acres of woodland and parkland just 45 minutes from central London, Pennyhill Park, an Exclusive Hotel & Spa is a beautiful 19th Century country retreat. 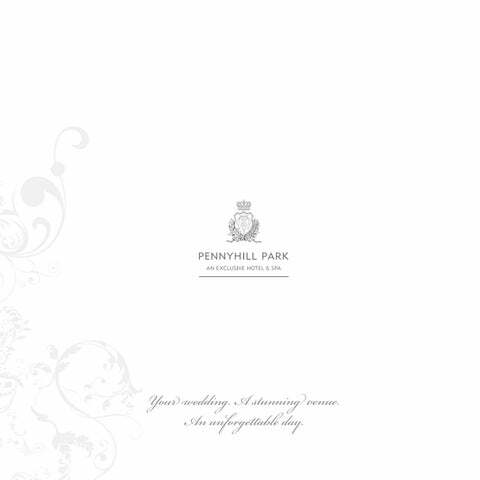 Pennyhilll Park is fully licensed to conduct civil ceremonies and partnerships along with outdoor weddings, so you can exchange your vows as well as have your wedding reception with us. Exquisite cuisine; a 45,000 sq. ft. adult only spa; signature five-star standards of service and stunning surroundingsâ&#x20AC;Ś the ultimate combination for the most romantic of weddings. Itâ&#x20AC;&#x2122;s the quintessential English country house setting and we have the most fabulous collection of suites and rooms, as well as the stunning outdoor Terrace Pavilion, to host your special day in stylish elegance. From a large family occasion in the Balmoral with its crystal chandeliers, to a small, intimate gathering in our classical Library - we have the picture perfect setting for your wedding. 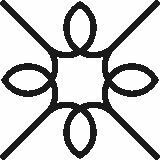 We are a five red-star venue with award-winning and Michelin starred dining. To ensure the food is exactly as you dreamt it to be, Chef and his team will discuss your precise requirements and together, we hope to present you with the most impressive wedding breakfast. The Spa is 45,000 sq. ft. of pure relaxation. Revitalise with a treatment together, submerge yourself in one of the pools or hot tubs or order a glass of bubbly from the outdoor pool bar! The Spa, combined with our 124 individually designed rooms and suites, makes Pennyhill Park the perfect choice to relax and unwind before the “I do’s” or for your first night. Your guests are also eligible for special rates. We believe your wedding should be as individual as you are. With a dedicated wedding co-ordinator unobtrusively with you every step of the way, we pride ourselves on creating beautifully bespoke wedding packages to make your special day everything youâ&#x20AC;&#x2122;ve ever wished for. Leave the M3 at Junction 3 (signposted Woking, Bracknell, Lightwater), then follow the A322 (signposted Bracknell, Bagshot). At traffic signals turn left onto the B3029 (signposted Bagshot, Windlesham) entering Bagshot. Go over roundabout onto Guildford Road - B3029. At T-Junction (`The Cedar Tree´ public house) turn left onto London Road - A30. After ½ mile Pennyhill Park, an Exclusive Hotel & Spa is signposted on your right.